LOL. Jaimie Fullofshit refers to those who have busted his employee and his athlete as trolls. Does anyone even wear skins to boycott/take down? Here are all the CRS files I managed to grab. 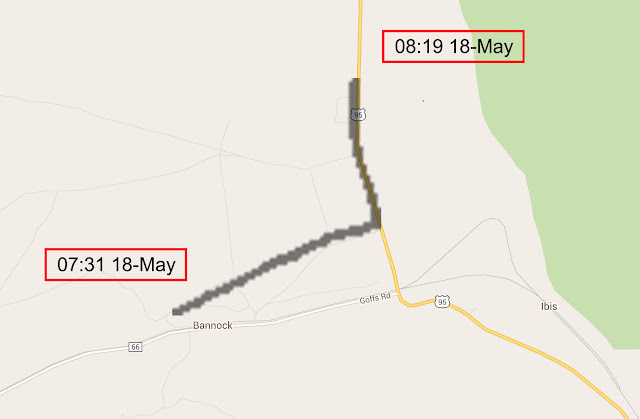 Also converted to gpx with timestamps. Yes, you are blocked. I used to be able to post comment stoo and they have been scrubbed. Yep, He deleted the ridiculous 8 miler outside Flagstaff. However, we have downloaded the data, have screenshots of the strava page, have the GPS tracker data which supports the whole dang thing. Hi, RY Team! Keeping you busy today! You did this to yourselves! I love that Lindley dude. Brutal but effective. I think RY can't block him, because they know each other in real life. haha, deleted in less than 30 minutes. My predictive powers challenge Nostradamus! I agree that it would be fun to see if we could trick them into deleting a legit track, but that wouldn't actually do anything to help the cause (and it would confuse people here too). Though I noticed that track had been "flagged" now too, presumably by another LR reader, so the RY team could just be using that to alert them to tracks that should be deleted, rather than actively reading the LR forum. I am saying that we already KNOW that the data has been manipulated because cadence and heart rate are missing and one activity I identified has been cropped. I am saying that the original data should be secured now before he can claim it was deleted. The original data must be what is analyzed by your panel, not this filtered nonsensical version he is putting in the public domain now. The original data, some of it at least, is in his TomTom MySports account online. You are suggesting that a forensic investigation of the data cannot determine if it's been manipulated? To be clear, I am suggesting that SKINS act immediately to secure Mr. Young's TomTom MySports account. That is where the original data lies. He is downloading from there, stripping data from it, and reuploading elsewhere. I fear this "new" data will be the only thing available to your panel, leading to a farce of an "investigation" and a verdict of "inconclusive". This is not a man's medical records, it's the same running data he's uploading publicly now, just in a more original, enriched state. If he has nothing to hide and wants to be sponsored by you - demand the account information now and secure it so that only the panel can login. Thanks really appreciate it. Just wanted to make you aware of the data manipulation that is currently taking place right now as Robert uploads his "data" for all to see. He is cropping the runs, not showing the originals which would have cadence data (logging of actual footsteps to indicate a runner was wearing the device and it wasn't in a vehicle, and deleting activities that we point out as too fast. I have absolutely no experience with this which is why we're appointing an independent panel. We will announce it next week, hopefully in first half. I will not attempt to interpret the data myself. It would be a huge waste of my time and achieve nothing. Robert Young is already manipulating his data. His TomTom watch captures heart rate and cadence, and the TomTom website can be used to view un-editable exercise data. Instead, he is already exporting this data and changing it. No ancillary data to suggest a real person was moving the GPS device at these ridiculous paces is viewable now. This one is slower, and the tail end of the original file has been cropped out (it's shorter). A high speed would be required to drop the average pace by 2 min/mi over just the missing part. Likely an attempt to delete data that shows he hopped in a vehicle at this point and forgot to turn off his watch. We should forward the strava data to Lindley and then have him post it to Rob's FB. That should work! "Guys I've mentioned this a few times, listen, Strava show MOVING time, you can't use it to determine his breaks." You can when you line it up with the appropriate section of RV Tracker. Then you can see whether the RV stopped in the middle of that track anywhere. From what I saw, he stopped the watch most every time he stops moving, hence the lot of 1 to 3 mile tracks during the day. So what's your point? I wasn't using the Strava data to determine his breaks, and I don't know any reason why we should really care about his breaks. That's not where the interesting information is. And as noobrunner said, it's pretty clear from all the tracks that when he *actually* stops to take a break, he stopped his watch and started a new track when he began moving again.